Thrillseekers with young children? Double your time by only queuing once! If two adults are visiting together with a young child, there's no need to queue twice when you want to ride the more thrilling attractions! The smart Baby Switch system, also known as Rider Switch or Rider Swap at the American parks, allows adults to queue once and then take turns riding the attraction, whilst the other watches over the little one. When the first rider arrives back in the station loading area, they switch places with the second adult, who can then ride the attraction without a second wait whilst the first adult leaves the exit and waits nearby for them to return. ...and many more! Not least all the walkthroughs, themed areas, character opportunies and live entertainment throughout the Disney Parks. The whole ethos behind a Disney park is a place where people of all ages can have fun together. 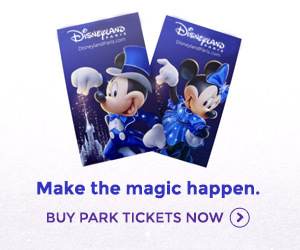 No other parks are more inclusive.